– teen challenge for teens and best rehabs. Pastor David has served as the Executive Director for Teen Challenge Middle Georgia since 2010. 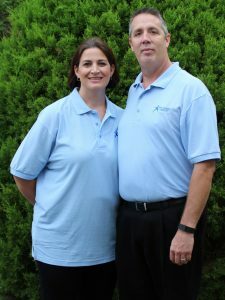 His wife, Trista Kincaid, currently serves as the Finance Manager. They have two beautiful children, Daniel and Gianna. We can also help you in your search for other Christian rehabs, Christian rehabs, substance abuse treatment, substance abuse treatment, alcohol treatment centers or addiction rehabs. Teen Challenge is the largest and lowest cost group of rehabs in the nation. They report the highest addiction recovery success rate for long-term addiction recovery, earning the praise of government and civic leaders. Discover how Teen Challenge centers can help an addicted or alcoholic loved one or colleague affected by drug abuse. The long-term residential substance abuse and addiction recovery programs of Teen Challenge offer better addiction and alcohol abuse recovery than typical outpatient substance abuse and addiction recovery centers. Providing affordable substance recovery and addiction recovery for men in and around Dublin, Georgia, including: Dublin (GA), Vidalia (GA), Warner Robins (GA), Centerville (GA), Milledgeville (GA), Perry (GA), Macon (GA), Cordele (GA), Eatonton (GA), Douglas (GA), Statesboro (GA), Tifton (GA), Americus (GA), Jesup (GA), Thomaston (GA).